Having the proper home security system can help to secure your assets and ensure safety. While there are many basic starter kits available, it is better in the long run to have your security system professionally installed. 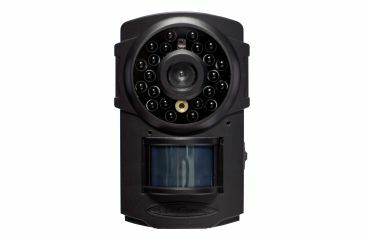 This guarantees that everything works as it should, and it allows each camera to be placed in the most essential areas. Motion sensor security camera installation is perfect for securing your home and saving energy. Security systems help to protect you against theft, vandalism, and even violence. Your home will be less of a target should the cameras be visible. If you have suspicions of a burglary, then you can use your footage to help catch the perpetrator. Motion sensor security cameras allow you to have peace of mind and safety during the toughest of times. Motion sensor security cameras are ideal for security and energy conservation. These cameras only activate once their sensor has been disrupted. This saves you energy and countless hours of video footage. You will be able to view only the most essential moments of footage without having to sift through the rest. It also keeps your energy bill low while ensuring that your security system doesn’t overload. It is ideal that your motion sensor security camera system in installed professionally. If you install it yourself, then you run the risk of improper installation. There are many wires and accessories that need to be properly installed in order to guarantee maximum safety. Hiring professionals will ensure that your system runs optimally at all times. You can call for a consultation to begin the process. A trained team will arrive to your property at a time that works for you. From there, they will work with you to find out your needs and expectations regarding security. This team of professionals will then scout your premises to find the best locations for your new security cameras. These areas will include points of entry, fences, and commonly overlooked blindspots in and around your house. Allowing your system to be configured by professionals guarantees that no spot is left unsafe. You will receive a quote for your new motion sensor security system, and this quote is entirely non-contractual. The quote will contain prices, equipment needed, and anything else that is pertinent to your security. You may also wish to add accessories to your security camera system in order to guarantee safety. You can add protective casings to your cameras to help protect against vandalism and harsh weather. If your electrical outlets are outdated, then the installation team may suggest a surge protector to prevent malfunctioning. Should you desire to use a different system or make any changes, you will be able to get your needs met in no time. If you decide to proceed with the scheduled plan, then you will be able to set a time to have your new motion sensor security system installed on your premises. You can choose when works best for you, and the professionals will work quickly to provide you with state of the art security. They will install everything you need including the security cameras, DVR system, and all of the cables and additional hardware required. Each camera will be mounted and configured to perfection. This ensures that there are no blindspots or errors in your home’s security. The final step in the installation process will be training you how to get the most out of your new system. They will show you to operate your new DVR, and this includes how to access a live feed from multiple devices. They will also show you how to fix any problems that may arise. Some of these problems can be fixed quite easily, but you can also call them at any time to have your problems resolved. Once your motion sensor security camera system is up and running, you will be able to access your feed from anywhere in the world. Many applications are available for your smartphone and laptop to help you keep watch. Should the motion sensor be disrupted, you will be alerted immediately in order to take action. You can then call the proper authorities to help stop any intrusion or crime. By choosing to have your motion sensor security camera system professionally installed, you will be able to receive immediate help should anything happen. Installing it yourself can leave room for error, and error is the last thing you want when it comes to your safety. Professional motion sensor security camera installation will provide you with everything you need to safely guard your property.